I am trying to get a sliding screen door for patio sliding doors for a house we just purchased. I think they are Guardian doors because they look similar to the pictures you have on your website. They have a top and bottom rail. The measurement from the top edge of the bottom rail to the bottom edge of the top rail is 94 1/2". According to your measurement guide, I then need to add 1/4" to this dimension. Therefore, I would need a door 36" x 94 3/4". Is that correct? The existing glass doors are 95 1/8" tall. Which dimension should I use? I also noticed that the trailing vertical frame of the glass door is 1/2" wider than the leading vertical frame. 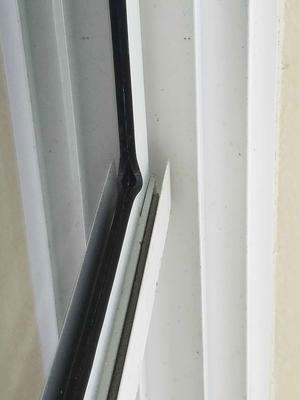 This only leaves a 5/8" gap between the glass door frame and the rails. Is this enough clearance for the screen door? 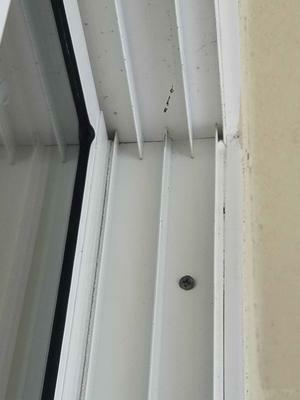 How thick are the screen doors? The glass sliding door is taller than one of my screen doors. That is because the top fin sticks further into the top of the glass door. 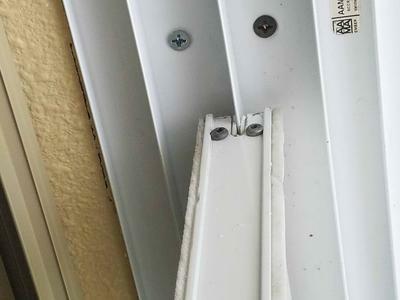 There are no rollers at the top of the glass door, it relies on nylon guides and a the deep fin is needed to allow room to lift the door out of the track when it needs to be repaired. My screen door has rollers at the top and they only need 1/4 inch of adjustment to get the door in and out of the frame. The rollers also have flanges that overlap the fin at the top keeping the door in position. Your measurements are correct. As for the 5/8 inch gap that is normal. 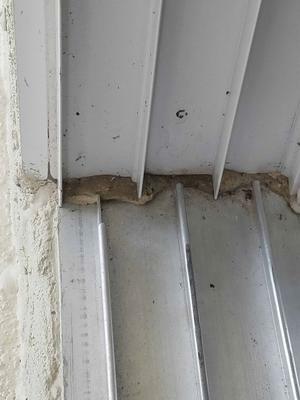 The screen door width is only 1/2 inch where it fits in the track, and so it sticks out less than 1/4 inch on the patio door side. Any extra gap is taken up by the adjustable bugstrip.